We will also have t-shirts and playmats for sale or pre-order at our events! 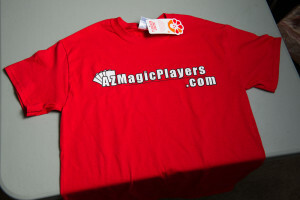 Our t-shirts are available in small, medium, large, and extra large. 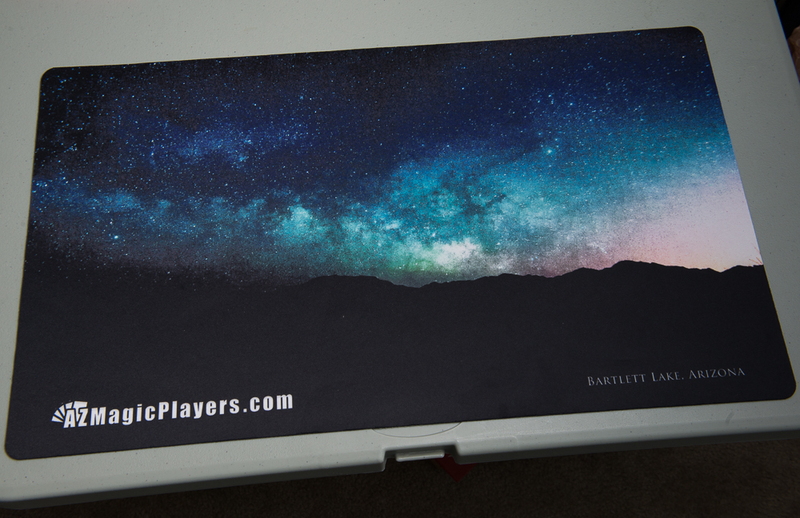 Our playmats will feature photography from all over Arizona – our inaugural playmat features the Milky Way rising over Bartlett Lake at night. Each t-shirt or playmat will be available for $20, or $15 if you are an AZMagicPlayers.com 2014 Players’ Club Member.